BERLIN (Reuters) -- Audi's race to catch up with German rival BMW is taking its toll on its profit margin. Audi's operating margin slipped to 9.7 percent from 10.1 percent a year earlier, the carmaker said in a statement today, while reaffirming its 8 percent to 10 percent target range. "Despite ongoing high investment, we are systematically pursuing our ambitious profitability targets," finance chief Axel Strotbek said in the statement. 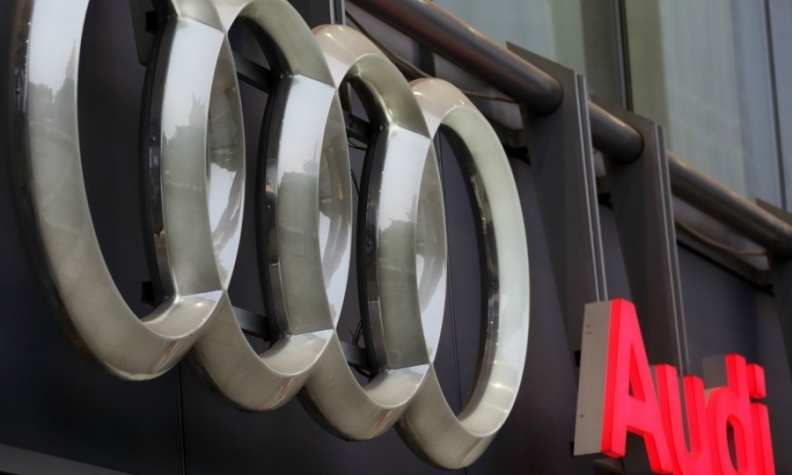 Audi said that its first-quarter operating profit rose 8.2 percent to 1.42 billion euros ($1.58 billion), fuelled by growing demand for the A6 sedan and Q3 SUV. But persistent spending on models, technology and foreign expansion is squeezing margins at a time when premium carmakers are fighting to attract buyers amid slowing demand in emerging markets. Audi plans to expand its lineup to 60 models by 2020 from 52 now, and is investing more than $1.11 billion in new factories in Mexico and Brazil. Audi is the profit engine of Europe's largest automaker, Volkswagen Group. The brand eclipsed rival Mercedes-Benz in 2011 as the world's second-largest maker of luxury cars by sales. Daimler said last week the quarterly return on sales from ongoing business at Mercedes Benz Cars jumped to 9.2 percent from 7 percent a year ago, citing strong demand for a raft of new models, including the revamped C-class sedan. Audi stuck to its guidance for higher revenue and a "significant" gain in auto sales this year despite challenging developments in world economies and foreign exchange markets. Market leader BMW will publish first-quarter results on May 6.